Fall is, without a doubt, my favorite season. Growing up in California, I was accustomed to only 2 colors a year: green and brown…lots and lots of brown. 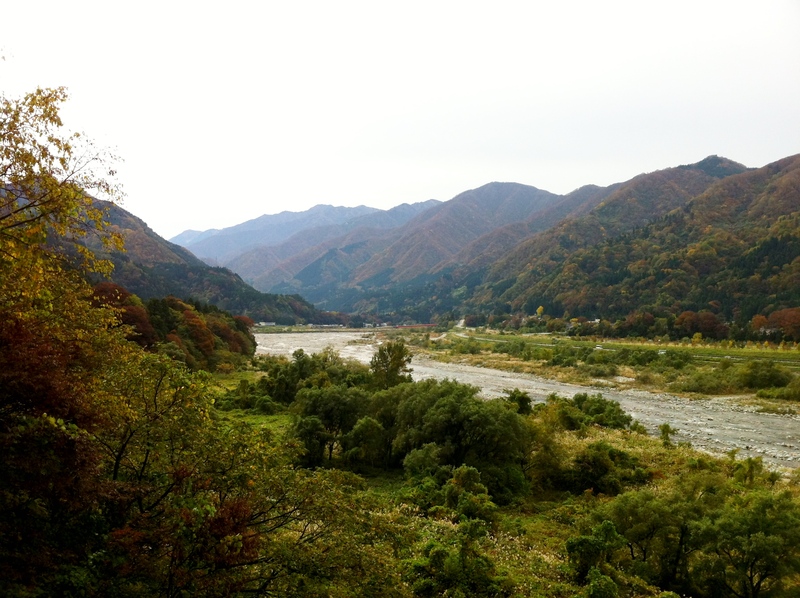 Japan was the first place I’ve ever lived with four proper seasons. 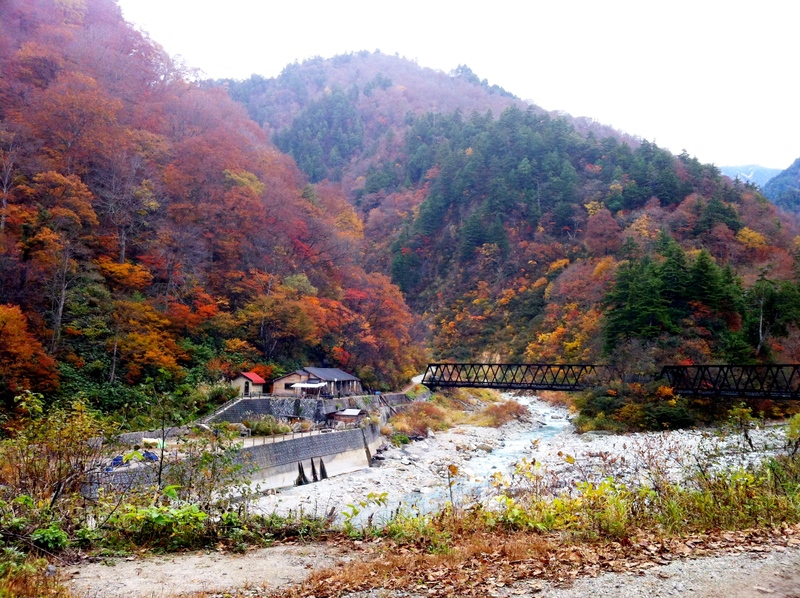 Although the cherry blossoms in the Spring draw larger crowds, I perfer the colorful landscapes that the autumn leaves provide. 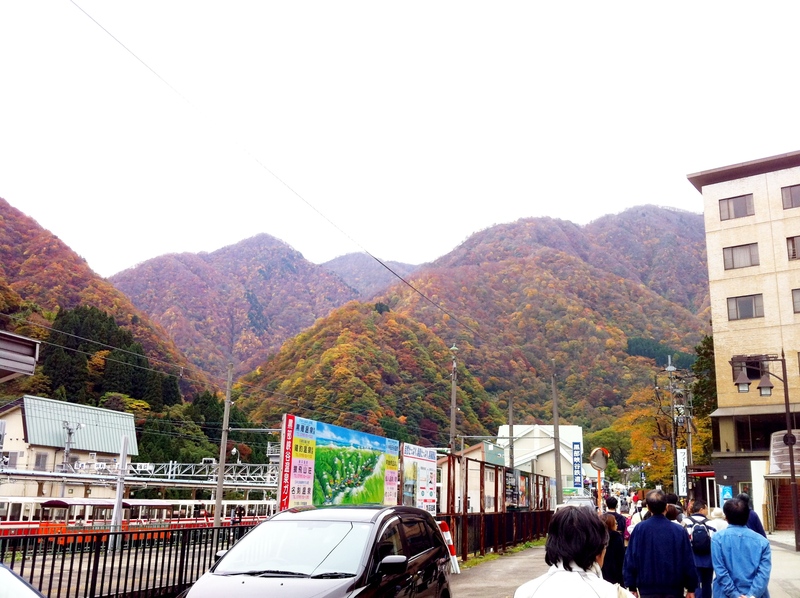 This year, I thought there would be no better way to see the fall colors than to take a train straight through the middle of a mountain range. 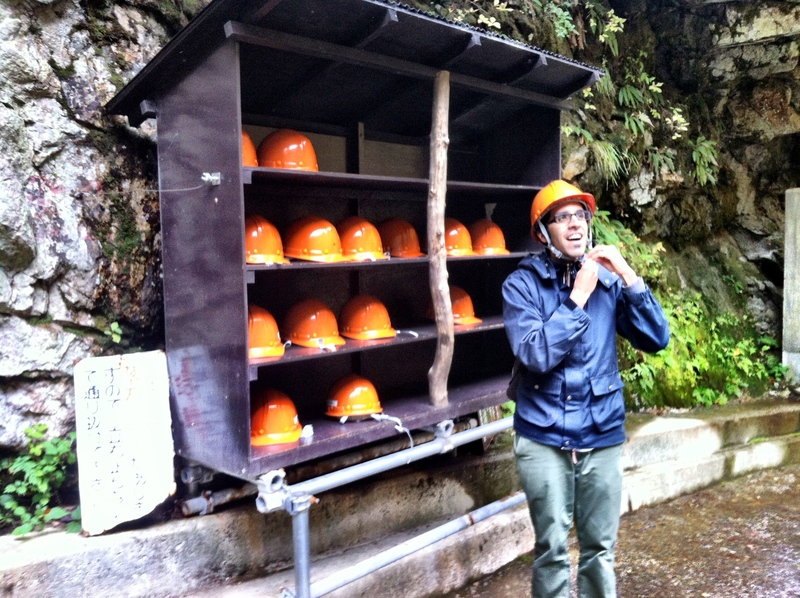 After a little searching, I thought the Kurobe Gorge Railway would be exactly what I was looking for. 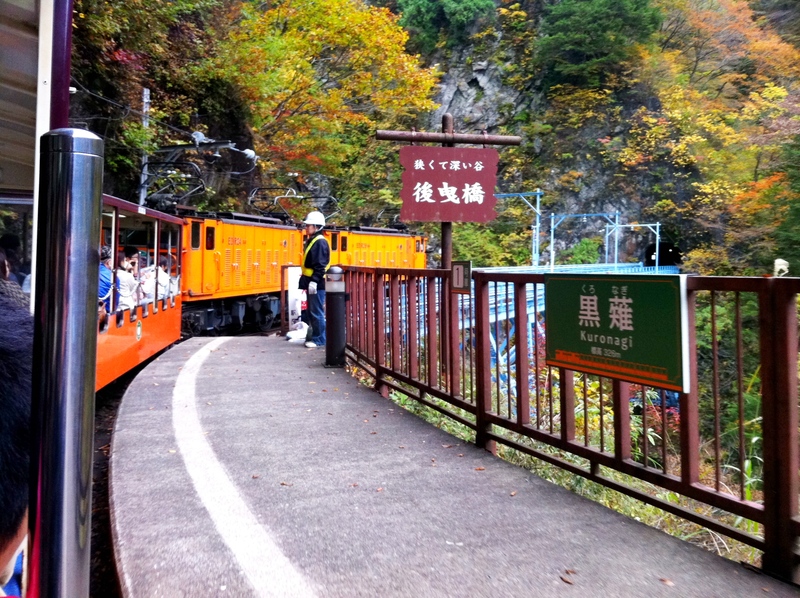 The Kurobe Gorge Railway is a narrow-gauge railroad line located in Kurobe City, Toyama Prefecture. 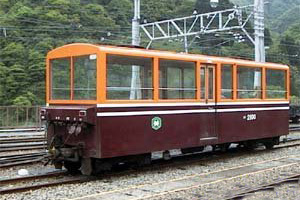 Opened in 1963, the line’s original purpose was to provide transport to and from the construction site of the Kurobe Dam. After the dam’s completion, the line began revenue service to the general public in 1971. From terminus to terminus, the line isn’t very long, as it stretches over 20.1 kilometers of track. 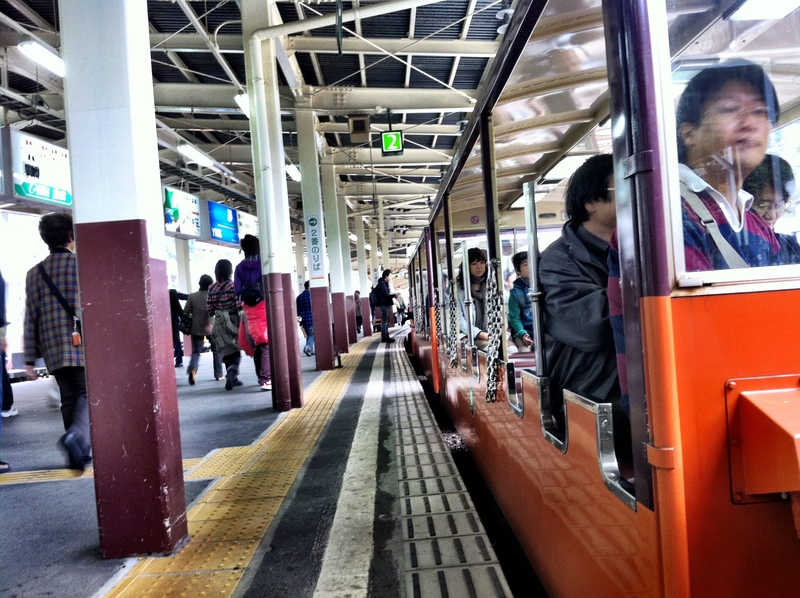 The train can reach a maximum speed of 50 km/h, so it takes 80 minutes to get from one end to the other. In total, there are 10 stations along the line, however service is available to the general public at only 4 of them. 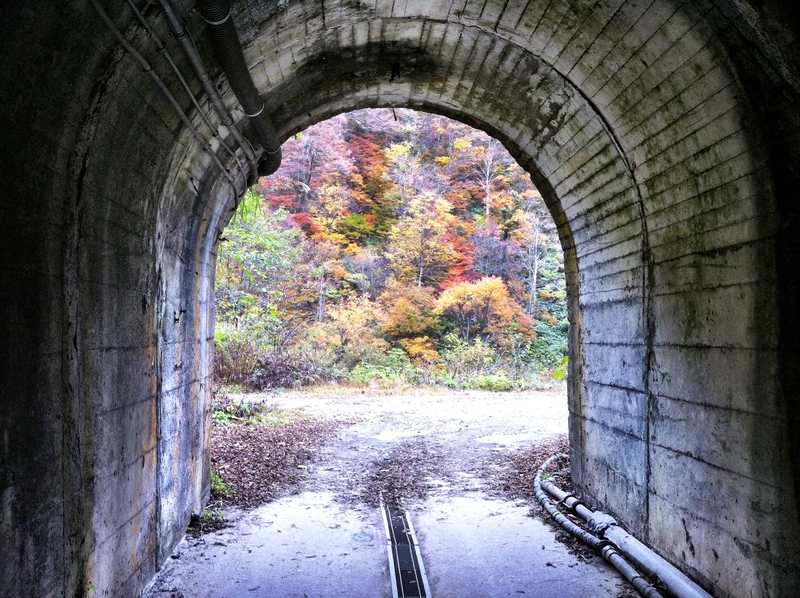 The remaining six are used by the Kansei Electric Company, which owns and operates the Kurobe Dam, other power stations along the Kurobe River, as well as the railway. My journey started at Unazaki Station with today’s destination being Keyakidaira Station. 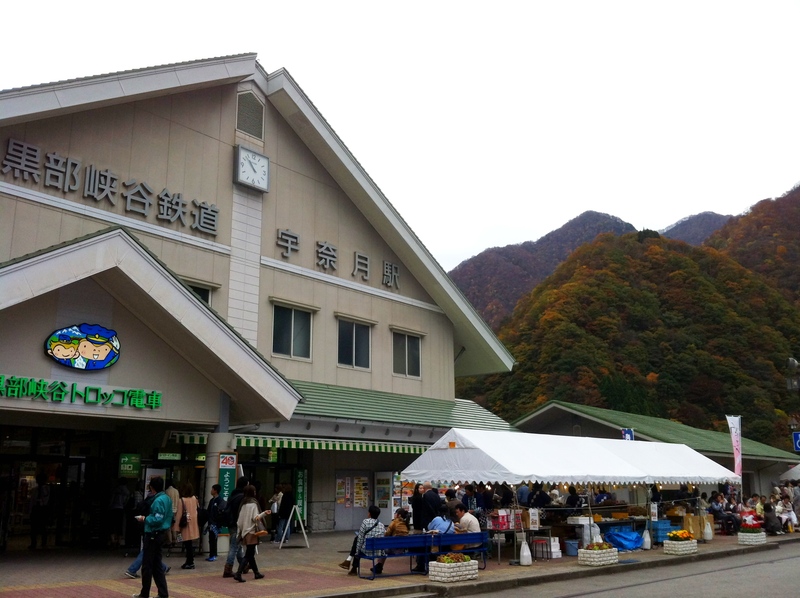 I went on a Saturday near the peak of autumn leaves season, so the station was packed with people. Relax Class: fixed seats which can be turned around to face others. good if traveling in a group. Panorama Class: provides a glass ceiling, which allows views from all around. fixed seats can also be turned around. I wanted to take some pictures without the windows getting in the way, so I opted for the Standard Class car, which left me stunning views of the gorge, if not a little cold and breezy along the ride. At the platform, you’ll get your first glimpse of the ”train.” I hesitate calling it a train because it’s much smaller than what we’d usually see. If anything, it feels more like a coal cart ride, much like Disneyland’s Big Thunder Mountain Railroad…without the high speed, obviously. 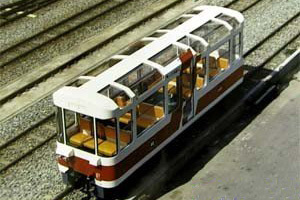 Each carriage can comfortably fit 4 to a row, and the ones with windows have a heating system installed. Throughout much of the journey, you’ll cross over rickety bridges, narrow passageways, and leaky tunnels, which may sound a bit daring at first, but it compliments the train and really leaves a lot to remember the trip by. In between stations, there is only one lane of track, so the train will stop at each station to allow trains coming from the opposite direction to pass by. It’s not much of an inconvenience as it allows you to get some good pictures of the scenery while staying still. Just when I thought it was starting to get too cold for an open car train ride, we finally arrived at Keyakidaira Station. 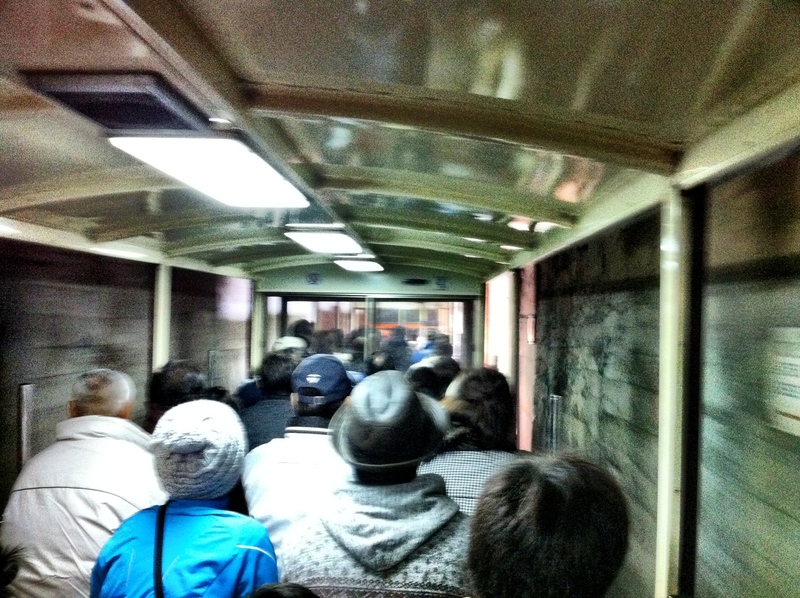 Once we hit the platform, I noticed that there was just as many people getting on the train as getting off. 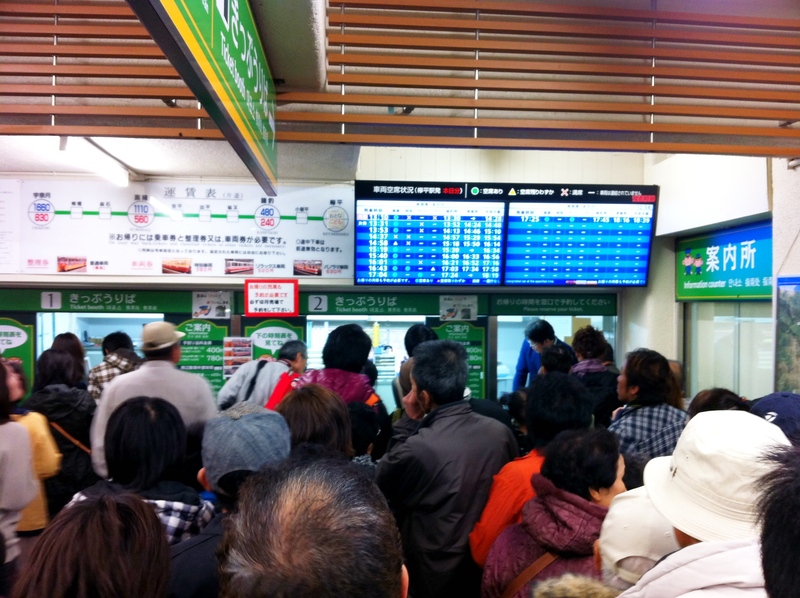 Because of that, there was a crazy rush of people getting return tickets. let this be a lesson: buy your sh*t in advance! 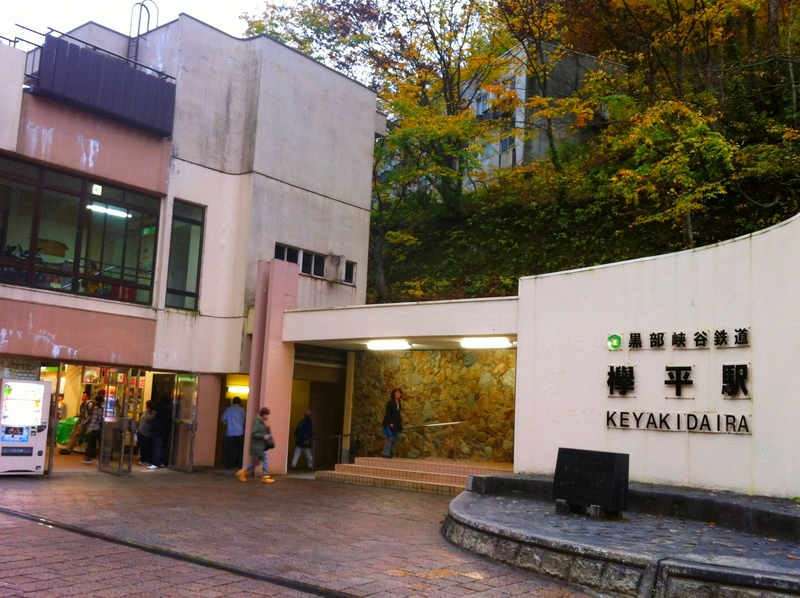 Around Keyakidaira Station, there are several places of interest, including 3 hot springs. 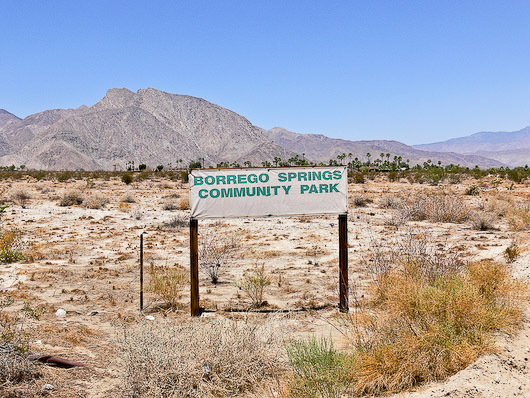 One of them is just in front of the station; another is a 15-minute walk up the trail, and the other 50 minutes away. We decided to challenge ourselves and go towards the furthest one…which proved to be more difficult than we thought since most of the trail went uphill. nice scenery. 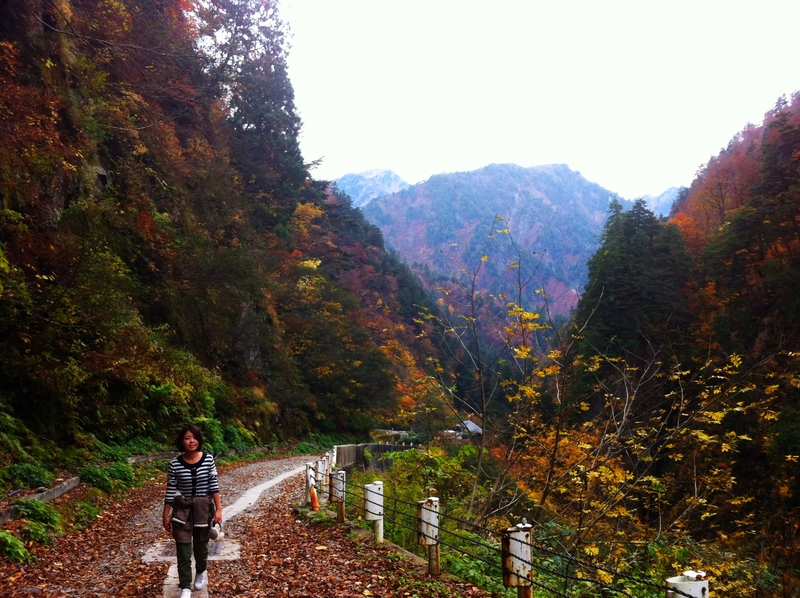 the leaves and mountains aren't so bad neither. ...and beyond the tunnel is? However, through sweat and determination, we made it anyways, and spent the next hour soaking in the natural hot springs. 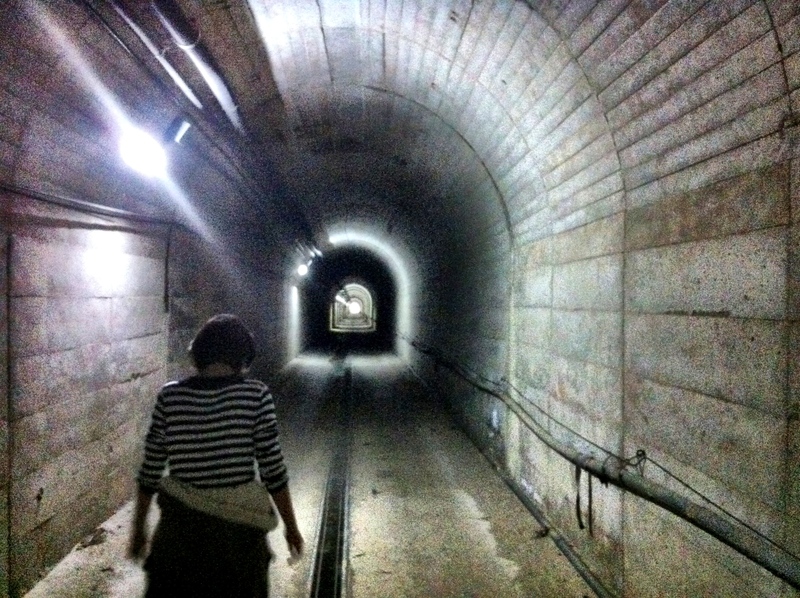 Once finished, we walked back to the station, got on the train, and went back home. Although the trip was really enjoyable, there were a few things that we could have done ahead of time that would have made the trip even better. The first and last station does have a restaurant, but it can get extremely crowded and in most cases will end up waiting for a seat. Also, since there’s no other alternative, prices can be expensive. 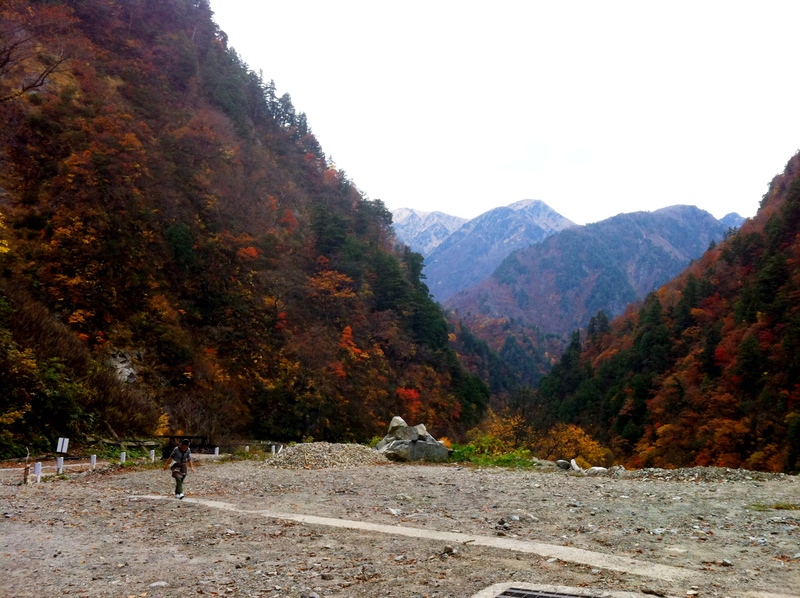 At the few hot springs dotted along the path, they do have light meals and other snacks, but stop serving past 1:00pm. This came as a shock for us since we arrived at 1:15. Surprisingly though, there were a lot of people who brought their own lunch and had a picnic along the trail. They obviously did their homework. Outside of the summer months, it can get cold, even if it’s sunny. Also, if you ride in the windowless carriage, it can become extremely frigid, especially when going through the drafty tunnels. To remedy this you can either ride inside one of the closed carriages, which provides heating, or wear lots of wear clothes. 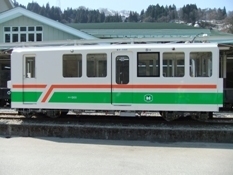 Finally, below is some information about the train, and then at the very bottom some helpful links if interested in additional information about the Kurobe Gorge Railway. NOTE: As of this writing (12/2011), Panorama Class is not being offered from 2012. This may change in the future, however. Tickets can be bought online or at the station. From Unazuki St. to Keyakidaira St. 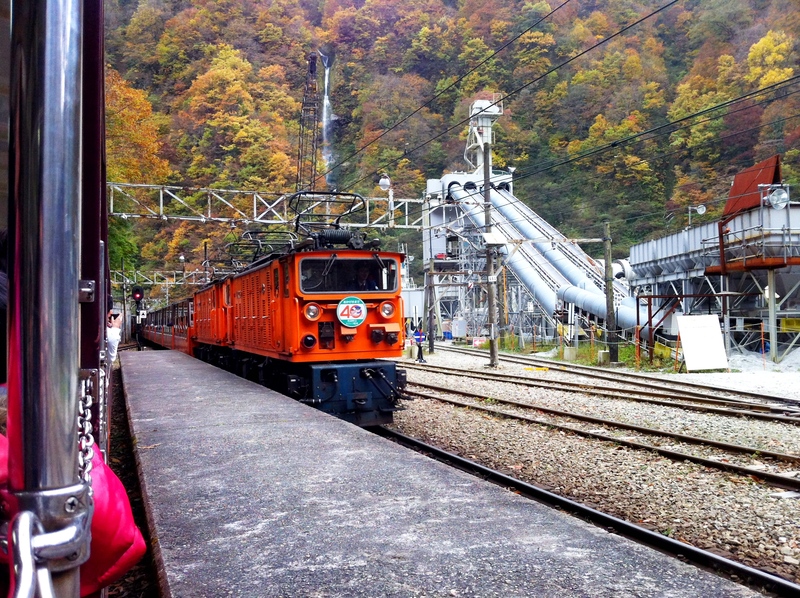 The Kurobe Gorge Railway Company – Official Site in English! Lots of information, including timetable, detailed prices, directions, and more. Very well put-together English site about the railway. 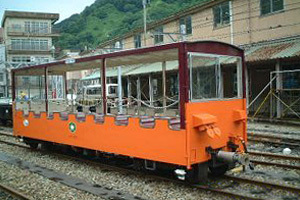 黒部峡谷鉄道 – Official site in Japanese. Just in case you needed it. 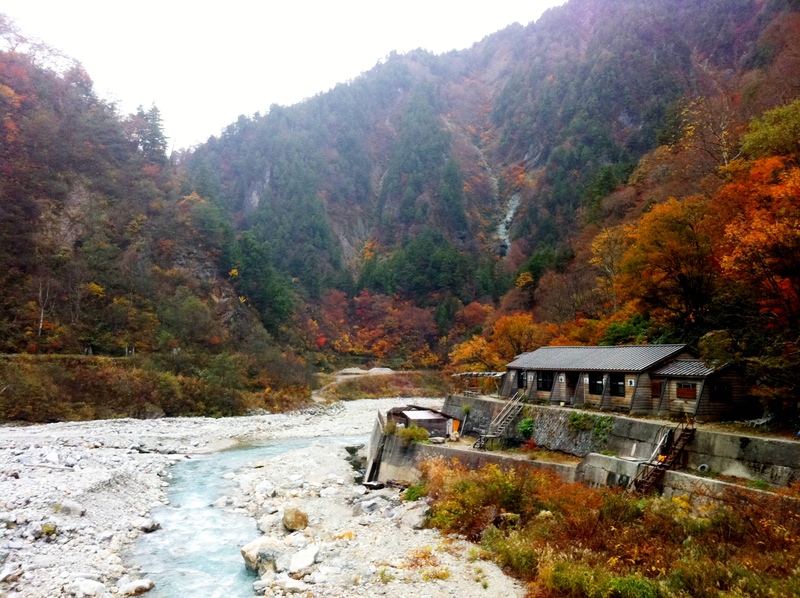 Kurobe Gorge Railway Online Reservation Site – ALL in Japanese, unfortunately. Requires some Japanese language knowledge to get around the site. At the moment, no English reservation site exists, so this is the only way to buy online.